It is well documented that the former First Lady got cancer. 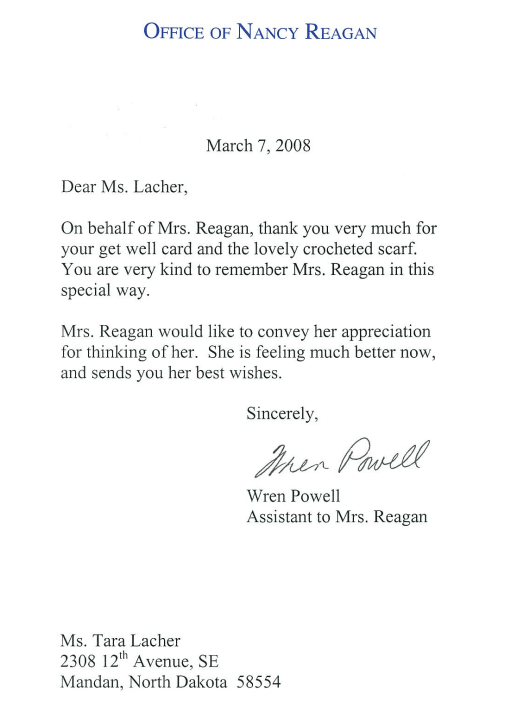 She also received a pink scarf and sent a thank you letter! Click read more below to see the scanned letter. Next PostNext Pink Scarf makes it to Brazil .. !